Neal was very professional and thorough. He came twice this week to service my brand new machine. I appreciate that he took the time to really see what was wrong with the washer. The service and the service tech were great. He was on-time and very experienced in his field. The only issue I had was that he serviced a product that was out of warranty and didn't give any pricing on the item until after the service was completed. I would have liked to have known the price before hand. 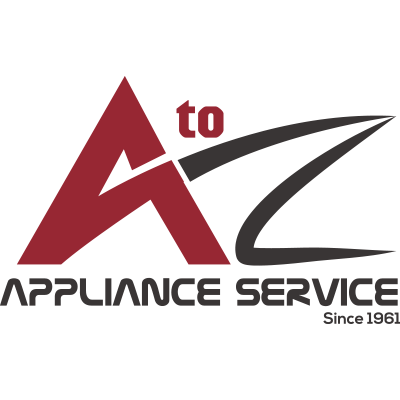 My experience with Neil Barnhoft and A to Z Appliance was very good. He was neat and very pleasant. 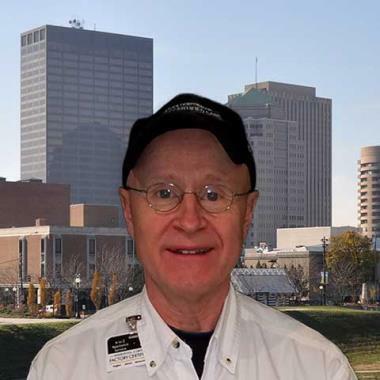 I felt that he was very knowledgeable and took care of my dryer problem. I would absolutely recommend him to anyone. So glad to have found this company through Lowes. Thank you very much for this review. We are also glad Neil is on our team. Great service. Fixed on first stop. No wait period to order parts like the other places. Rating pricing reflects warrant work. We called in for a warranty repair and a technician was in our store within a couple of days. We had to wait about 2 weeks for our part to come in, but that's not your fault! 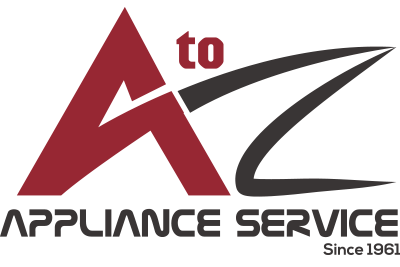 Overall very pleased and will continue to use your company for all of our warranty work! Would recommend him to all. Representative was honest, knowledgeable, and friendly! 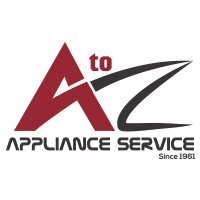 Diagnosed and repaired our washer really quick, very courteous and informative. Thank you. We appreciate having Neil on our team and he appreciates his customers taking the time to leave reviews, especially like this. Thank you again. Very professional and courteous from start to finish, offered a few tips to keep our new washer running good. The service man Neil is very good. The scheduling is slow. I need a receipr for all of the parts for my records. Sorry for the slow scheduling. We will work on improving that. Thanks for using us and for the review. Jake was knowledgeable, personable and efficient! I would recommend service to friends and family! Couldn't have been better !! Neil is a wonderful employee. Very kind and helpful. Thank you very much for this review. We like the job Neil does and it is always nice for the tech to have a customer take the time to tell others of the good job they do. Thanks again. WASHER WHIRLPOOL WTW5000DW2 Keeps filling. F2E1 ( stuck key ) F0E2 ( over suds ). I ran unit on Casual cycle which was what customer ran unit on when she said unit would not stop filling.Unit ran as designed. Went over loading & Soap usage with customer. Unit checks OK.
REFRIG KITCHENAID KRMF706ESS00 Installed — pantry door / UI / pantry wire harness / water valve / dual valve /Connectors. WASHER WHIRLPOOL WFW9450WW00 Unit was unplugged when arrived. Plugged in unit & it went into drain default.Unit needs — drain pump W10730972. Customer will replace washer. DRYER WHIRLPOOL WED4950HW0 Noisy. There was some coin in drum felt. Unit checks OK.
COOKTOP WHIRLPOOL KFED500ESS02 Installed — Element / infinite switch. Unit checks OK.
DISHWASHER KITCHENAID KUDL03IVWH3 Unit needs CNTRL Panel W10150008 ( $ 177.63 ). Customer is purchasing new unit. WASHER MAYTAG MHW3505FW Installed — latch assembly. Ran test cycle — unit checks OK.
WASHER SAMSUNG WF42H5000AW/A2 Complaint — unit will sometimes not agitate or spin. When checking unit I foundThat basket would jerk sometimes ( motor reacting with jerking motion ). UnitHad one error code dE ( door Latch ). Spoke with Wayne - I checked Hall sensorPink-blue 4.8 / pink-red 4.8 / red-orange 4.8. Hall sensor checked OK. At this point the Inverter board needs replaced dc92-01531b & possibly the door latchAssembly as well. Will call supplier on Thursday to get pricing on parts to let customer know what the cost will be. WASHER WHIRLPOOL WFW86HEBW Unit powering up at all. Unit needs to start with CCU W10573393. Explained to customer that we need this part to get it going & then there may beSomething else needed possible. Customer wants to purchase new unit. REFRIGERATOR WHIRLPOOL WRF989SDAM03 Installed — fill tube heater. Unit checks OK. Ice maker has been working since Last visit where I installed Elect CNTRL assembly. REFRIGERATOR KITCHENAID KSSS48QDX05 Not cooling at all. No R12 refrigerant avail to charge system. WASHER KENMORE 110.246423 Unit fills but doesn’t run. Found outlet is faulty. Explained to customer that outlet has to be fixed. Unit checks OK.
COOKTOP KENMORE 911.332131 The spark module was the right part but the switch harness was the correct part# but the wrong part. DAP said they could not do a research with GE for the part.Sending parts back. DISHWASHER KITCHENAID KDTM354ESS3 Door not closing properly. The unit was installed with the under counter brackets mounted on the side of the dishwasher exposed. I’m unable to adjust Feet to get door to close properly. Pictures on SD Mobile. Explained situation toCustomer. Unit was just installed. She will get installers to fix dishwasher. DISHWASHER WHIRLPOOL WDF520PADM7 Leaking — unit checks OK. Customer had unit pulled out for me when I arrived.The unit fits into a REAL tight spot. Asked customer to observe. WASHER WHIRLPOOL WTW5000DW0 Wash plate came off / unit is running loud. NO error codes. Ran test cycle —With wash plate out of unit — unit checked OK. Customer will purchase New Washer. DRYER MAYTAG MEDB835DC4 Dryer not heating. Found incorrect power to dryer. Customer will have to get power fixed. Talked to Liz at Rent-center. WASHER MAYTAG MVWC555DW1 Sometimes won’t drain & sometimes will fill. F0E1 ( Off balance ) F8E1 ( no fill /Long fill ). Ran diagnostic test cycle - checked OK. This washer is in basement On concrete floor. Washer is located against wall where the concrete is cracked Leaning towards the wall. The inner tube is not balanced - I adjusted the feet toLevel basket. Carmichael’s has installed a Elect CNTRL on 2-11-19. Customer said unit will sometimes leave clothes wet. Tech line ( Dustin ) — SR # 7724367203. Said at this point unit working as designed. Dustin said that maybe the leveling of washer might have been the issue. Asked customer to observe.